How do you deal with the Shadow? The concept of an illusionary material realm that must be overcome to achieve “heaven” is at the heart of all serious spiritual/metaphysical philosophies. This book explains it in the language of depth psychology. Referencing Carl Jung, Joseph Campbell, and her personal teacher James Hillman, she also credits Buddhist meditation and Shamanic Tantric Yoga for the context in which she offers this wisdom to readers. 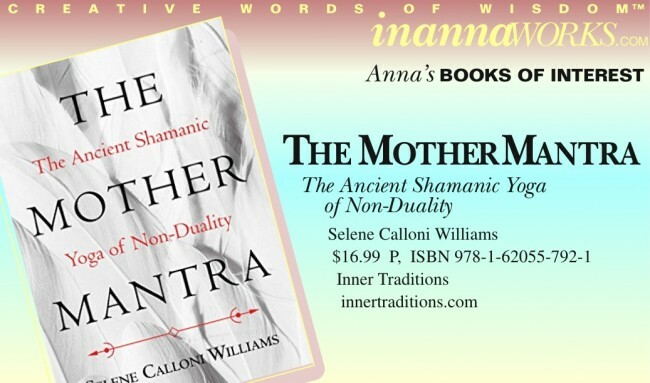 Williams is an initiate into the esoteric teachings of the Mother Mantra. In the beginning chapters of this book she reveals those teachings for the first time, relying on an obtuse, veiled-reference style reminiscent of Alice Bailey to convey the information without giving away the secret keys which unlock its power. She includes detailed exercises for those who are serious about pursuing this path. Those who are willing to do the work will find the esoteric keys for themselves. In Chapter Six, she steps out of the shadows of the esoteric elite and delivers a direct, powerful dissertation on embracing the personal Shadow and tapping into the wealth and potency of the subconscious. She compares and contrasts “Desacralized Therapy” and “Sacred Rite”. She tells readers that we can “transform our own egocentric suffering into a force of love that can accomplish magic”. She warns us that “Forgetting to be the dreamer, we fall victim to our own dreams”. She says that “Alchemical transmutation requires a ritual” and that “The myth only really comes back to life through oral transmission”. She is a staunch advocate for reconnecting personal, human experience to the sacred teachings. This entry was posted in Anna's Books of Interest, Inner Traditions. Bookmark the permalink.